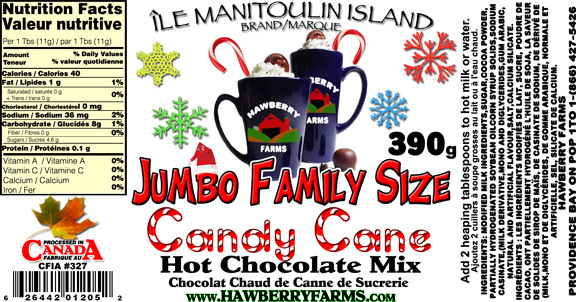 Click the button below to add the Candy Cane Hot Chocolate Family Size to your wish list. Family Size Hot Chocolate! Candy Cane! Add two tablespoons to hot water or milk! Tastes just like Tim Hortons Candy Cane Hot Chocolate but with the comfort of it being made at home. I love it!